Anchor for Ranging / RTLS applications with radino32 DW1000 Ultra Wide Band module. 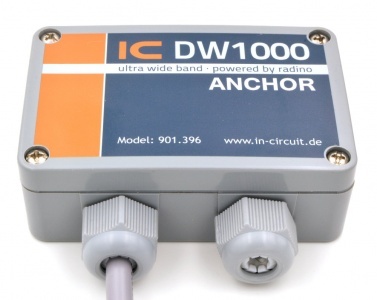 The DW1000 Anchor is shipped programmed with a closed source firmware based on the dw1000 advanced demo from our radino Library. All commands will be send by <Enter>. This page was last modified on 3 April 2018, at 08:51. This page has been accessed 13,729 times.